All sash window furniture can be installed by our expert window restorers, as part of a refurbishment project, or as an individual service. We offer three options, depending on the sash cord thickness and window weight. Available in brass, polished chrome and satin chrome as standard, with many other finishes available to special order (see below for details). These fasteners fix to the meeting rail to prevent opening. Choose from popular Reeded Knob, Brighton, Fitch, Claw and Straight Arm designs. All five styles are also available in a lockable version. Brass, polished chrome and satin chrome finishes are offered as standard, plus others available to special order. Sash lifts are fixed to the bottom sash rail to aid with lifting the window. We offer four classic styles – the cast hook, pressed lift, ring lift or cast lift. Available in brass, polished chrome and satin chrome as standard, plus other finishes available to special order. 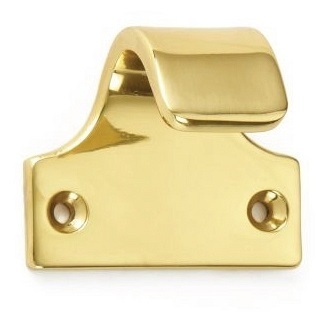 Sash stops are used to restrict the opening of the window, for safety or security. We offer two styles – the Weekes stop, which unlatches downwards to form the stop; and the screw-in mini sash stop, which is supplied with one receiver. Brass, polished chrome and satin chrome finishes are standard, plus others available to special order. Our elegant handles are available in 102mm, 124mm and 140mm widths (measured end to end). Note that the 140mm width is fixed with two adjacent screws on each end. Available in brass, polished chrome and satin chrome as standard, plus other finishes available to special order. 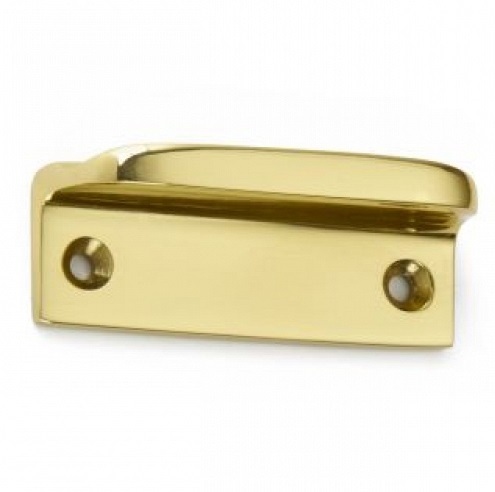 All our ironmongery is available in a choice of brass, polished chrome or satin chrome as standard, plus a host of other finishes available to special order (please allow a 2-3 week lead time). When a project demands something special, we can create unique architectural ironmongery, either to new designs or to match existing door or window furniture. Please contact us for details, and allow a 10-12 week lead time for manufacture. Get in touch to speak to us about your sash window furniture requirements.